David Spieser-Landes comes from Alsace where he grew up speaking French, Elsässerditsch (Alsatian) and Hochdeutsch (German). 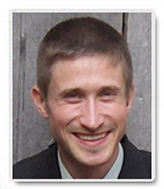 His research interests include French and Francophone Literatures, Postcolonial Theory, Nation Studies, Minority Literatures, and French Regional Literatures. Drawing upon and adapting Jacques Rancière political philosophy, his doctoral dissertation, titled "The Politics of Aesthetics: Nation, Region and Immigration in Contemporary French Culture," examined the ways in which both rap lyrics (such as Abd al Malik's) and regional literature (e.g. André Weckmann's novels) are effectively breaking national unison in present-day France. Before joining the Seahawk community, David Spieser-Landes earned a Ph.D. in French and Francophone Literatures (with a track in politics) from the University of Pittsburgh, as well as a French Master's Degree in American Civilization from Université Lyon 2, France. He also held a Teaching Assistantship at Penn State University, and taught French for two years at Lycoming College in Williamsport, PA.
"Entre littérature érotique et critique politique: Suburban Blues de Yémy (2005) à la croisée de « Wonderwoman » et « Black Panther »." La charité romaine et ses incarnations queer: politiques et érotiques de l’allaitement. Queer Incarnations of Roman Charity: The Politics and Erotics of Breastfeeding. Edited by Mireille Calle-Gruber, Sarah-Anaïs Crevier Goulet, Maribel Peñalver Vicea, Jutta Sperling (forthcoming 2020). “Repoliticizing May 1968: Postnationality and Postcoloniality in French (Alsatian) Regional Minority Literature.” Essays in French Literature and Culture, issue 55 (2018): 167-185. “Le Sentier André Weckmann: Reconquérir le Territoire Alsacien au travers de l’Inscription Physique de la Parole Poétique.” Les Lettres Romanes, “Poésie et Espaces Publics: Formes, Lieux et Pratiques aux XXe et XXIe Siècles,” vol. 71, issue 3-4 (2017): 327-351. “Soumission ou Simulacre de Soumission? Michel Houellebecq et la Métaphysique (Baudrillardienne) du Radiateur.” French Cultural Studies, spec. issue “Religion in France: Belief, Identity and Laïcité,” vol. 28, issue 1 (2017): 42-53. “The Death of French Socialism: Abd al Malik’s ‘Occupy Wall Street’ Poetical Rap.” New Readings, spec. issue “Poetry and Money,” vol. 16 (2016): 60-77. “Carving out a Place for Minority (Regional and Immigration) Literatures in the Curriculum: The Challenges and Rewards of Teaching Contemporary French Civilization(s).” Contemporary French Civilization, spec. issue, vol. 41, issues 3-4 (2016): 425-436. 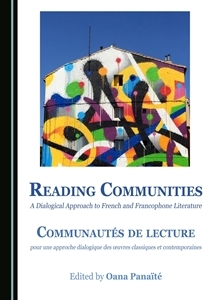 “Politique du dialogisme dans la littérature alsacienne contemporaine.” In Reading Communities: A Dialogical Approach to French and Francophone Literature. Communautés de lecture: pour une approche dialogique des œuvres classiques et contemporaines. Collection of theoretical essays, ed. by Oana Panaïté. Newcastle upon Tyne: Cambridge Scholars, 2016. “Postcolonial Islam Thought and Rapped: Abd al Malik’s Révolution Pacifique from within the French Nation.” Performing Islam, vol.4, issue 1 (2015): 35-59. “Language Politics and Aesthetics: André Weckmann and Robert Grossmann on Alsatian Regional Identity.” Contemporary French and Francophone Studies (SITES), spec. issue “The Idea of France” (2013): 173-181. “The Non-Uniformity of In-Betweenness in André Weckmann’s La Roue du Paon: a Literary Treatment of the Politico-Cultural Debate over France-Alsace Relationships.” Tiresias: Culture, Politics and Critical Theory, issue 5 (2012): 62-76. Kraut, Joshua A. and David Spieser-Landes. French for Children 1. Camp Hill, 2015: Classical Academic Press.